Due to the increase in USPS shipping costs in 2011, we have no choice but to raise our flat rate shipping cost so that we may continue to provide excellent shipping services that our customers have experienced with us over the years. We thank you and appreciate your understanding on this matter. If you have any questions, please don’t hesitate to contact us. • $6.50 for Standard Shipping service delivered within 5-10 business days. • $13.50 for Rush Shipping service delivered within 2-5 business days. - Gold members will continue to receive free shipping for orders over $50.00 as it was before. - Smaller purchases such as 2-10 markers will only incur a $4.99 shipping charge instead of the $6.50 shipping fee. By now, many of our International Customers have probably used or heard about our International Shipping Option Number 3. If you haven’t heard of this option before please allow us to show you how to save! 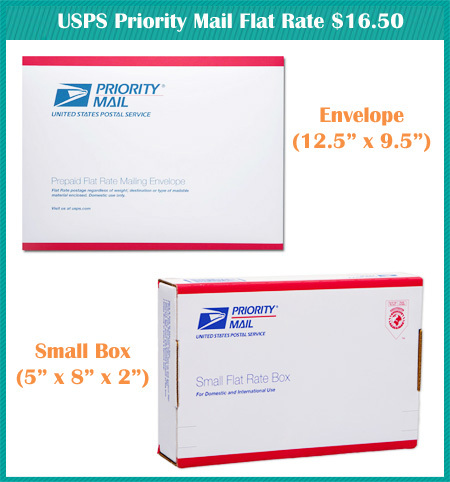 iCopic’s International Shipping Option #3 is USPS Priority Mail Flat Rate Envelope/Box. It will provide you with the same delivery time (6-10 business days) at a cheaper shipping cost at $16.50 instead of $25-45.00. Why is it so much cheaper? It is because by using this service, customer will agree that you can’t track or get updates on the package’s progress. Insurance is not optional to purchase and due to the limited sizes that envelopes/boxes available, you will only be able to fit selected products. This option is not currently on our website and if you would like to select this option please email us prior to placing an order. b. Tracking is NOT optional (buyer or seller cannot get update where the package is currently at). We hope that you are not over overwhelmed with all the information above and as always we thank you for yourcontinuous support and understanding.